As a European coalition of NGOís and individuals concerned with the global drug issue, we would like to inform you herewith of our deepest concerns about the confirmation of several death sentences in your country recently. On December 8, Abd Jalal Mohamad, 38 years old was sentenced to death for trafficking 4,8 kilos of cannabis three years ago. On December 11, Ramli Kasron, 41 years old, was sentenced to death after he was found guilty of trafficking over 4 kilos of cannabis in 2006. On December 28, Shahrul Izani Suparman, 25 years old, was given the death sentence after he was found guilty of trafficking 622 grams in 2003, when he was 19 years old. We refer to these cases because they were reported in the Malaysian press. The exact number of those executed remains unknown.† Amnesty International has estimated that some 300 convicted prisoners await execution on death row,†most for drug-related offences. The use of the death penalty as such runs counter to the universal protection of human rights and is at odds with the worldwide recognition that the death penalty has never been proven an effective deterrent to serious crime any more than other punishments. Very few countries currently carry out executions: provisional figures compiled by Amnesty International indicate that only 11 of the United Nationís 193 member states carried out state killings in 2008. We are aware of the argument of your government that drugs cause misery in Malaysian society. But in spite of the year-long practice of executing drug offenders, the country is not and will never be drug-free. Many people in your country want to consume cannabis and other drugs, so obviously, other people will continue to supply them. Taking the life of some individual traffickers will not change that situation. There is enough evidence available that harsh repression is not the right answer to drug-related problems. In fact it can even be a hindrance to the implementation of effective policies to address these problems. Drug trafficking is the core business of globally organized criminal organizations. The traffickers who are occasionally caught by authorities with relatively small amounts do not have major responsibilities in this business. 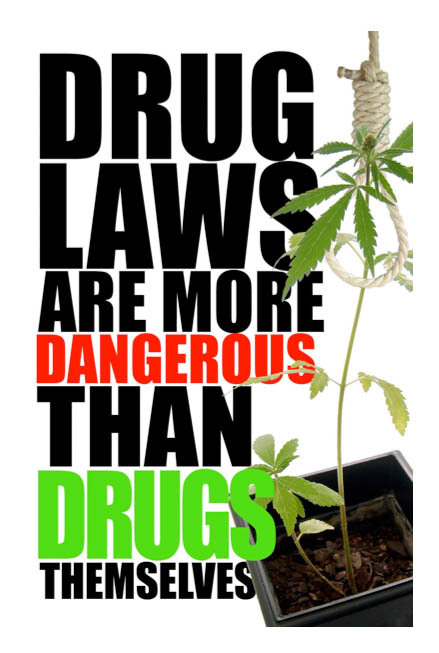 Killing them will not scare the drug gangs away. On the contrary: thanks to these punishments, the leaders in the drug business can continue to justify extraordinary high prices for their goods. The above mentioned people were all sentenced to death for trafficking cannabis. Cannabis is a natural product, a non-lethal substance. Its consumption is widespread around the world, as it has been for thousands of years among many different cultures and people. In most European countries, cannabis possession for personal consumption is not penalized anymore. In some countries, such as Spain, the Netherlands and the Czech Republic, adult persons are even allowed to grow and distribute it. Interestingly, the level of cannabis consumption in the Netherlands, where adults have had legal access to this product for the past 35 years, is lower than that of its neighboring countries, which have applied repressive policies. We believe that the drugs problem can only be reduced by effective social and health policies, not by harsh repression. Innovative and intelligent strategies for addressing the issue both globally and locally are needed, and the continuation of tough prohibitionist policies that have failed until now is a major impediment to the introduction of these strategies. In the coming years this may also increase the lack of credibility of authorities in the opinion of the general public. If you believe that Malaysia needs to execute drug traffickers to please the international community, this is a huge mistake. The international community is ready to support Malaysia in the creation of structures which would allow for the reduction of harm that the production, trade and consumption of illicit drugs can cause, without applying such outdated measures such as the death penalty. We call upon your wisdom to apply principles of sound governance and abolish the death penalty. You cannot fight the Malaysian Government to change the existing stupid law of killing people in possession of hemp leaves. I love my country but I hate the existing stupid ganja law, since there are two political parties in Malaysia trying hard to enact the Hudud law. But were so afraid of Karpal Singh threat, “over my dead body…”. My advise to any people convicted with hemp leaves to challenge the Government to use HUDUD law. There is no human execution in Hudud law if convicted with hemp leaves. Your life is in your hand, even karpal singh cannot stop you. To anybody convicted with the Malaysian dadah law this is the only law that can save your life. Its your choice if you really want to live … only the Islamic Law can protect you from the stupid Malaysian Dadah Law. Are you still in the same situation law wise as you were 16 months ago when you wrote this e-mail Sir? Are you aware of the work of Harm Reduction International? Hello! I’ve been following your weblog for some time now and finally got the bravery to go ahead and give you a shout out from Austin Tx! Just wanted to say keep up the good job! What community are U referring to Sir/Ma’am?